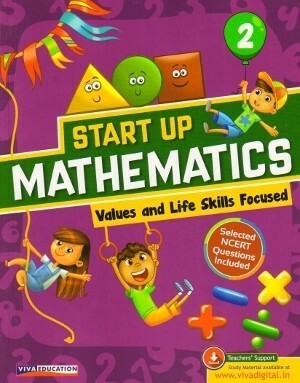 Viva Start Up Mathematics series conforms the latest NCF guidelines with careful grading of interdisciplinary and thematic linkages. The books are carefully planned to give comprehensive coverage to all the topics through clear explanations and sound supporting examples. There is ample focus on activities and exercises to develop logical thinking and reasoning. Plenty of exercises at the end of every lesson in How Much Do You Know?